Large areas of globally important tropical peatland in Southeast Asia are under threat from land clearance, degradation and fire jeopardising their natural functions as reservoirs of biodiversity, carbon stores and hydrological buffers. Many development projects on tropical peatlands have failed through a lack of understanding of the landscape functions of these ecosystems. Utilisation of this resource for agriculture or plantation crops requires drainage which, unavoidably, leads to irreversible loss of peat through subsidence, resulting in severe disturbance of the substrate and creating problems for cultivation. 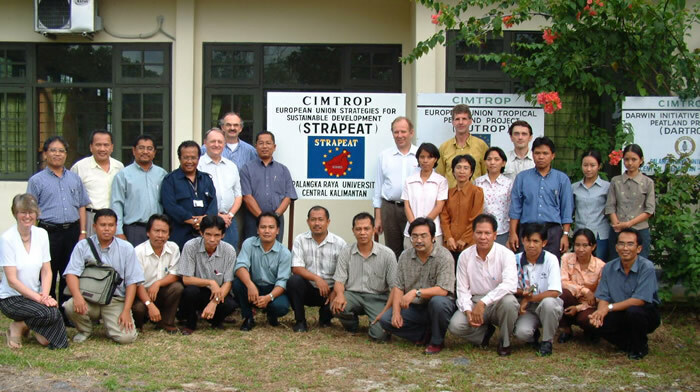 The STRAPEAT project aims to promote wise use of tropical peatlands by integrating biophysical, hydrological and socio-economic data within strategies for sustainable management. It specifically seeks to implement the strategies once they have been formulated for practical use in critical peatland areas in Borneo. Local research capability will be strengthened enabling peatland managers to better understand and address the different, interrelated processes operating in tropical peatlands. The project will contribute positively to poverty alleviation, protection of the environment, improvement of the quality of life and diminishing health risks. 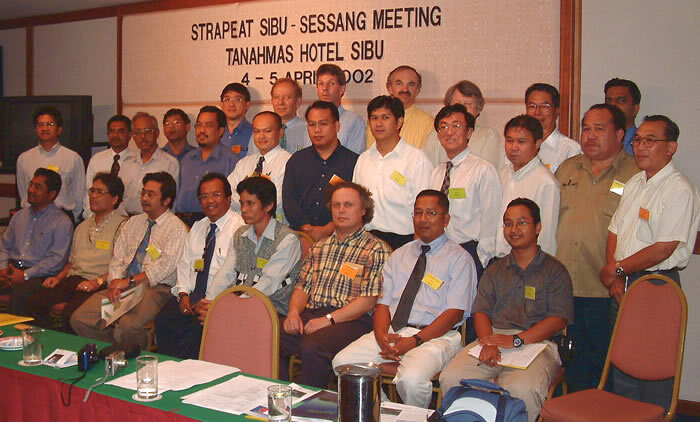 The STRAPEAT project objectives · Formulate strategies for implementing improved sustainable management of tropical peatlands, in conjunction with stakeholders, based upon evaluation of existing data and collection of additional bio-physical, hydrological and socio-economic information; · Strengthen developing country research and institutional capability for the collection and evaluation of environmental, technological and socio-economic information in order to formulate and implement 'wise use' strategies for tropical peatland. The project approach Six work packages have been distinguished in order to deliver the overall project objectives. Work package 1 embraces all aspects of project management and partner integration including communications and networking. 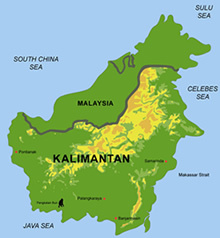 Work package 2 will determine the state of knowledge and understanding of the tropical peatland resource, its utilization and success for sector development and assess impacts upon its natural resource functions. It will identify existing knowledge gaps. Work package 3 deals with the collection of additional biophysical, hydrological and socio-economic information through monitoring and survey tasks operated by relevant partners using standard methods. Remote sensing will be used to prepare maps of the location and land use of lowland peatlands in case study areas in Borneo and classify the remaining natural areas. Relationships between different types of information, for example water management, peat subsidence, land use and economics, will be made explicit and quantified. Work package 4 aims to evaluate the appropriateness and effectiveness of current peat land use for agriculture, forestry, mining, nature conservation, settlement and other sectoral activities. A Management Support System will be constructed holding geo-referenced information on a GIS of the principal characteristics of peatlands in Borneo. Work package 5 will formulate strategies for implementing environmentally sustainable management of tropical peatland, including restoration and rehabilitation of degraded, mismanaged and impacted areas, based upon considerations of natural resource functions and multiple wise use. Work package 6 provides for strengthening of DC research capability and dissemination of scientific and socio-economic knowledge through international and regional human resource exchange and co-operation.